Well, we have had a lovely, busy week at Simply Natural. 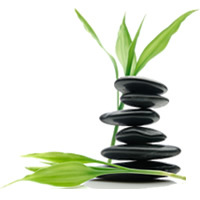 It seems that more and more people are seeking alternative and natural treatments for health issues. It also seems that more and more people are struggling with health issues that convention medicine can’t help. I normally do my best to be tolerant and supportive of doctors because you never know when I might need one. I do believe that most doctors do the best they know how to do for their patients but I also know that doctor are trained in treating symptoms and their tools of trade are drugs and surgery. These things can save your life but they can’t make you healthy. In 1950 the US ranked 7 out of 21 countries for life expectancy. Now, after spending a trillion dollars on advanced medical care it now ranks 18th. How is this possible? Well, the problem in both Australia and America is that health care dollars are being spent on treatment once a disease is established and most of it is spent in the last few weeks of a patient’s life. Where the money really needs to spent is on education and prevention of disease. I have said it before but I really like the analogy that at the moment we are sending ambulances to the bottom of the cliff instead of building a fence at the top. The way we manage health care is in crisis and it’s not sustainable. If we continue to treat lifestyle related diseases with drugs and surgery instead of supporting people to change their lifestyle then we will simply run out of money and we will fail at helping people get well. Apparently if the current trends in rising healthcare costs continue then by 2030 the cost of healthcare will be equivalent to the total tax revenue. Something seriously has to change. This week I watched a documentary called “Simply Raw – Reversing Diabetes in 30 Days”. If I was a good business woman I wouldn’t tell you this but you can view it for free on YouTube. We also sell it in the shop. It’s about a group of 10 people with Diabetes who are taken on a retreat for 30 days. During the retreat they have only raw foods. By the end of 30 days all but one of them are off all their medication and everyone’s blood sugar had stabilised. One man had been taking 18 different prescription drugs! Two of the participants had Type 1 Diabetes and one of these men came off all insulin and the other had reduced his insulin from 70 units a day to 5 units. Everyone lost weight and most of them reported that they had more energy, were clear headed and less depressed. Over the 30 days these people were educated about nutrition and taught how to be creative with preparing raw foods. According to the doctor running the retreat, 50% of protein, 70% to 80% of the vitamins and minerals and almost 100% of the phytonutrients in food are destroyed during cooking. The retreat included “cooking” classes to learn how to prepare raw foods and they even learned how to make raw chocolate. After initially struggling to overcome the addiction to sugar, these people discovered the profound health benefits of eating natural, nutritious, whole, raw foods. Now just imagine if all of us ate that well. Maybe our health care costs would reduce rather than escalate. Maybe America could actually afford Obamacare and be able to lower rather than raise its debt ceiling. All it takes is a little common sense and steering clear of sugar and processed foods. If you want help cleaning up your diet and regaining your health then we have a 6 Week Detox Program run by our Naturopath, Amelia Bachelor and Hypnotherapist, Manuela Picinich. CLICK HERE for more info. If would like some creative recipes for “going raw” then we have a range of books in the shop. Pop in and take a look when you can. We might even organise a raw food class if enough people are interested. Just let me know. I know many of you won’t want to miss this event. If you have been to any of Nicole’s other Group Healing Meditations will know the power of these evenings. During these sessions everyone lies on the floor with their head towards Nicole’s magnificent 16 kilo Master Crystal. The energy in the room is truly palpable. This next Group Healing Meditation includes a copy of the recording and a 30 day process to deepen your healing so it’s a little more expensive. CLICK HERE to book online. This event WILL book out so be quick. At the risk of confusing you with all our amazing meditation sessions I want to invite you to our Free Global Healing sessions that are now running every Friday at 1pm. We focus on one world leader at a time and send the intention that they open their heart, raise their vibration and connect with their divine wisdom. I have personally experienced remote healing and know that distance makes no difference when it comes to the effectiveness of intention and energy healing. This session is run by Nadia Wang who is a powerful healer in her own right. So far the sessions have been incredibly powerful and healing for all who attended. If you would like to join us in making the world a better place we would love you come and support this work.